In an exclusive interview with BeirutNigtLife.com, Jaytech told Lebanon ‘Get ready for some epic party action!’. 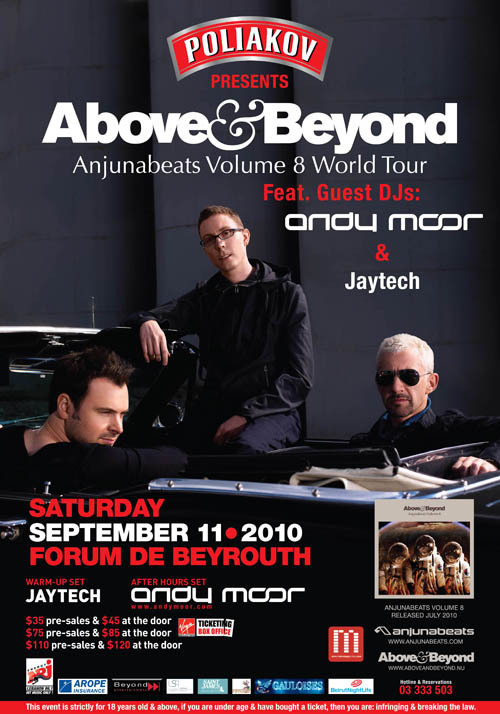 Jaytech will be warming up the dance floor, the decks, and the huge crowds on Sept. 11th, 2010 when Poliakov present the World’s Biggest Trance trio DJs/ Producers ABOVE & BEYOND Anjunabeats Volume 8 World Tour (2010) at Forum De Beyrouth. The Australian DJ assured BeirutNightLife.com that this year “We’re gonna make sure it (the event) is” as fabulous as the 2009 live performance at La Marina Dbayeh.Jimbo Cayzer aka Jaytech told us: “You’ll be hearing some exclusive material from myself and the Anjunabeats/Anjunadeep labels, including some brand new tracks I’ve just finished. From my last experience in Lebanon it seems everyone parties hard until sunrise, which is always a good thing. 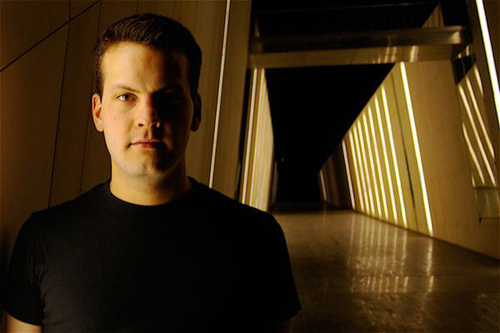 Jaytech is currently preparing for a couple of big projects which he can’t reveal much about yet, “For the moment I’m working on new progressive tracks for my next album, and there’ll be a few new vocal tracks as well,” added Jimbo. So stay tuned Beirut, the first interview from the DJ stars is out with Jaytech warning you about this epic night… Coming up next an exclusive interview with Andy Moor, and of course Above & Beyond.